My sister Jessica recently spent a weekend in Texas, so I asked her to take tons of food photos so she could come back and make me jealous. She did a very good job, and she kindly agreed to share them with a guest blog post below! Texas is famous for BBQ, so first stop off the plane? Salt Lick BBQ! 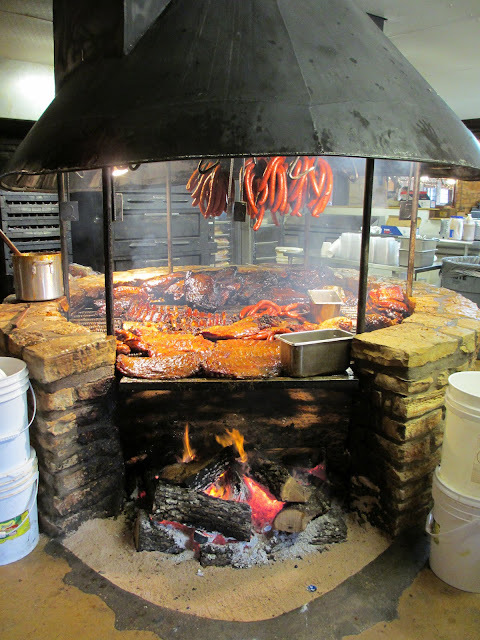 Salt Lick BBQ is about half an hour outside of Austin, which apparently is considered far! It's on big ranch-type land, lots of open space and wooden buildings. 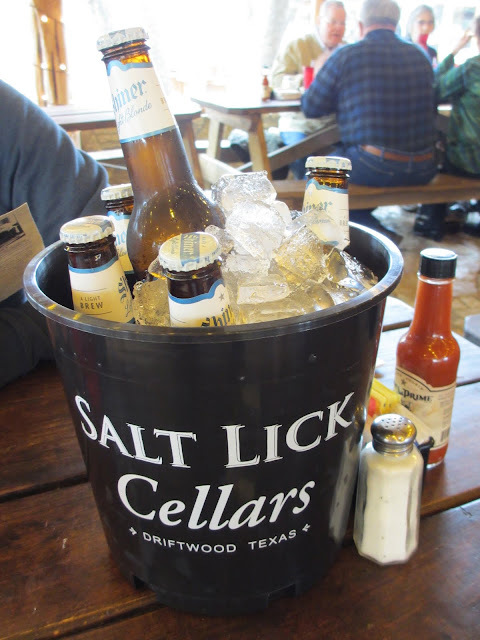 Right next door is Salt Lick Cellars, which is handy since it's BYOB and if you don't have any alcohol, you can go right next door and get some! The BF and I got 6 bottles of Shiner Light Blonde, a local Texan brew. Although there is All You Can Eat BBQ for $19.95, I knew there is no way I could eat enough to really make it worthwhile, and the BF decided he wanted Beef Ribs, which are not a part of the All You Can Eat deal, so we both ordered off the menu. The most surprising thing for me was that there was sesame seeds in the potato salad and in the coleslaw! I love sesame seeds! So yummy. Out of the meats, my favorite was the sausage, which I didn't expect. 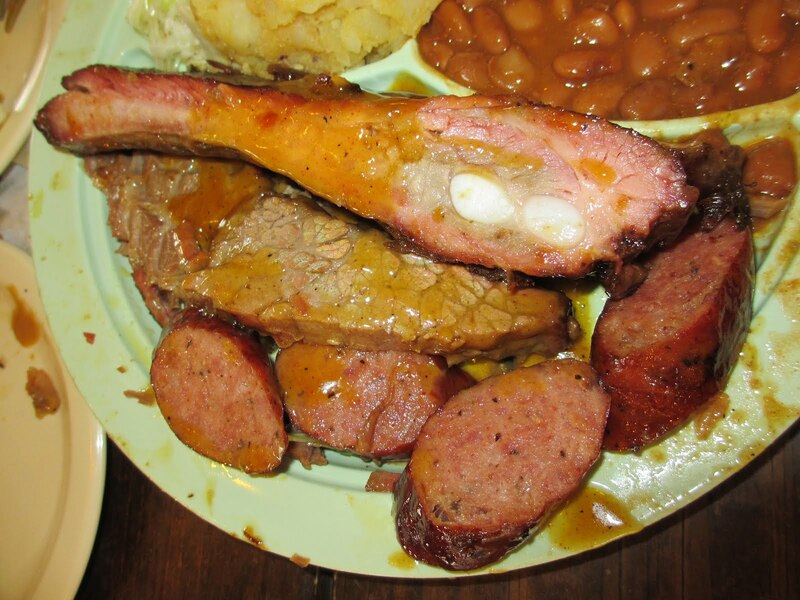 There was some kind of spice and seasoning that was unique to the Salt Lick sausage, and it was really good! He also ordered a side of 1/2 chicken ($6.95), which was also really delicious! Not too dry, and juicy! Right by the entrance, there is a huge BBQ pit! Thanks, Jessica! Next time please bring me along though! (That's what little sisters are for). Jessica, how do you feel about pumpkin scones from Starbucks?